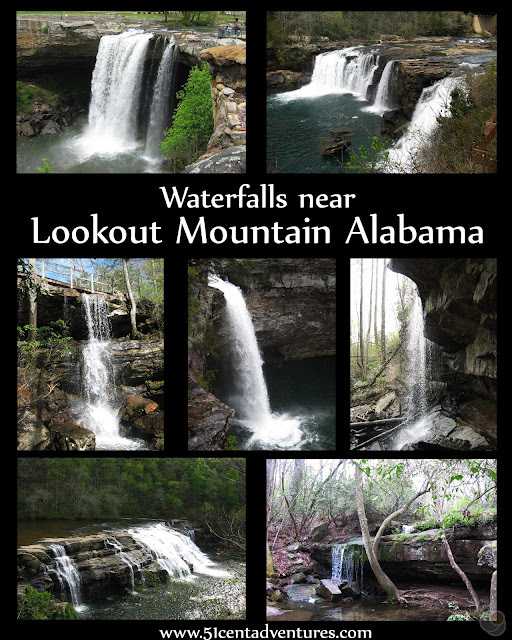 When I started planning my family's vacation for the spring of 2016 I decided that we'd visit the Lookout Mountain area of Alabama. I picked this place mostly because I wanted to visit Ruby Falls near Chattanooga, Tennessee. I had seen a picture of that stunning waterfall and I knew that I wanted to visit it. 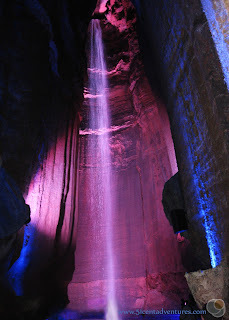 As I started researching other places to visit in the Lookout Mountain area I discovered that Ruby Falls wasn't Lookout Mountain's only amazing waterfall. There were at least 9 other waterfalls in the area. I was pleased to discover that all of the other waterfalls were free to visit. I decided that we'd go waterfall hunting during our vacation. Each waterfall turned out to be wonderful and beautiful in its own way. From the tall yet skinny Grace's High Falls, to the powerful Noccalula Falls they were all amazing. 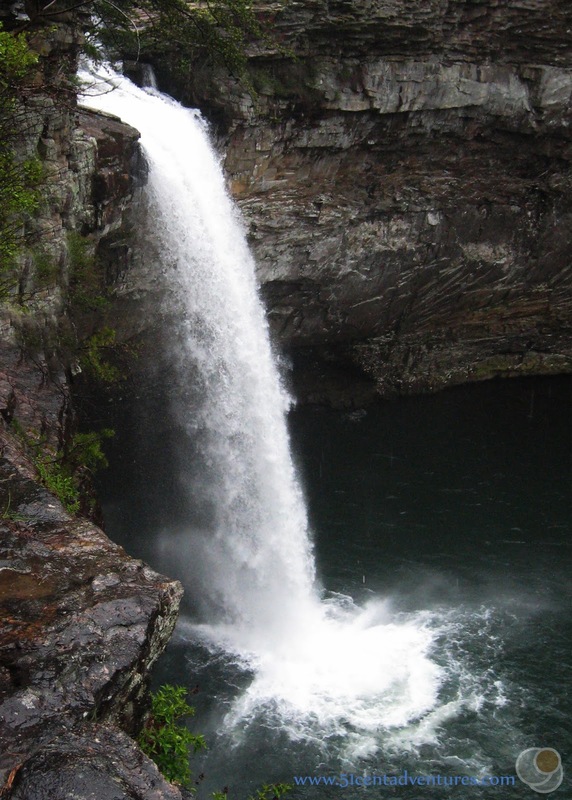 I've made a list of all the waterfalls you can find around Lookout Mountain. Hopefully you'll have as much fun finding these falls as I did. Here's a map of where all the waterfalls are located. As you can see they are in the northeastern part of Alabama. 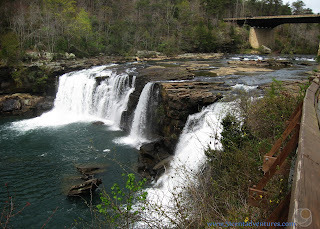 Trail difficulty: The best view of the falls is from a viewing platform that you reach by going down about 12 steps. When we first arrived at the parking lot for this waterfall I was disappointed. All I could see was a spill way. But after walking down a short trail I could see the 107 foot waterfall spilling into a large pool. 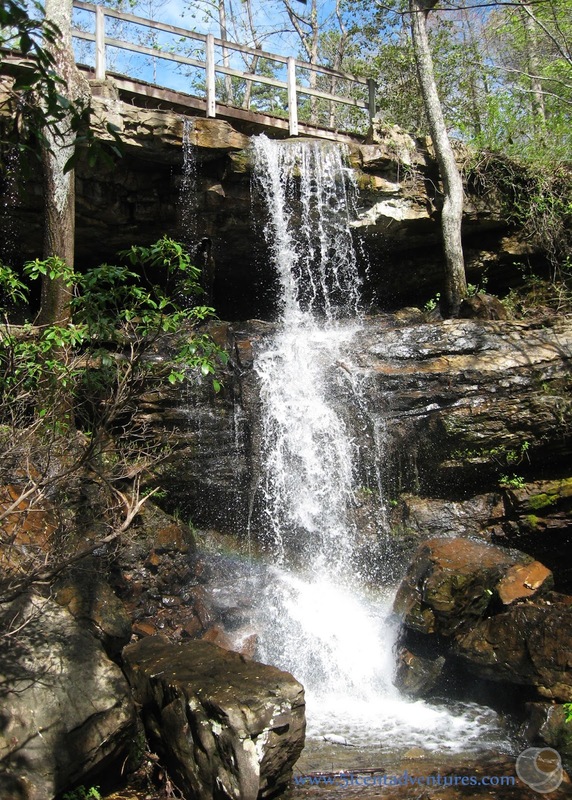 You can find this waterfall by following the signs that are posted on Highway 89 on top of Lookout Mountain. This is probably the easiest waterfall to find within DeSoto State Park. It's located .1 mile from the trail head. The Talmadge Butler Boardwalk Trail is located on the western side of Highway 89 about 200 feet south of the Country Store. Park in the little parking lot for the Boardwalk Trail and cross the street. Follow the trail around the fence and you'll come to footbridge. This footbridge spans the top of the waterfall. If you cross the bridge the path will descend down the side of the rocks so you can hike down to the bottom of the falls. 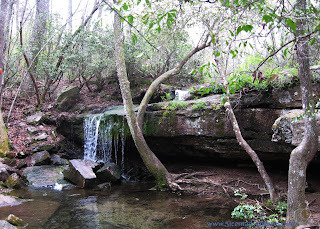 When you reach the Azalea Cascade on the Talmadge Butler Boardwalk Trail you can either return to your car or you can venture onto one of the hiking trails in search of either Laurel or Lost Falls. I highly recommend making sure you have a trail guide with you if you are going to go off the boardwalk. This section of the park has a network of about 3 interconnected trails that can get a little confusing if you don't have an image of the map with you. Laurel Falls is a small waterfall, but it is very pretty. Also the scenery on the way there is very beautiful. 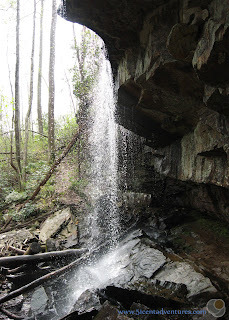 Lodge Falls is another easy waterfall to find. However, this one has a rather steep trail so it's not the most accessible one. This waterfall is located on the Green Trail behind the Park Lodge which is about a half mile from the Country Store. 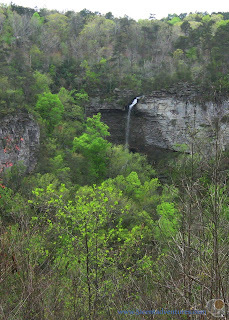 Lost Falls is located about 1.5 miles from the Country Store. It is located on the blue trail. This is a seasonal waterfall, and so it's "lost" when there isn't water flowing over it. My family didn't have time to try to track down a waterfall that may or may not have been visible so unfortunately I don't have a picture of this one. Trail difficulty: The trail to the overlook is easy. You can also hike to the base of the falls on a steep staircase. There is a parking area for these falls just off of Highway 35. Follow the boardwalk trail down the the viewing platform. 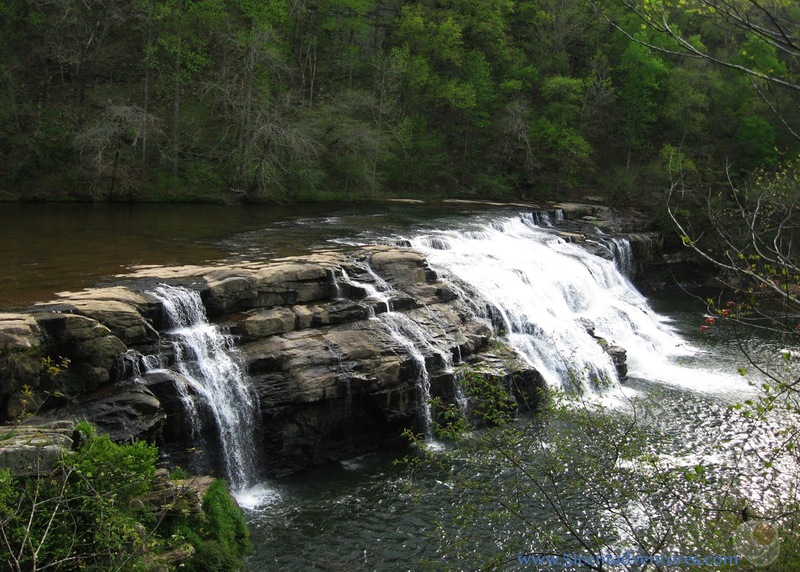 This is Alabama's tallest above ground waterfall. This is a seasonal waterfall so it's not always visible. The best place to view to falls is from the side of the road on the scenic Canyon Rim Drive along the west rim of the Little River Canyon. The view point is between Crow Point and Eberhart Point. There is a pull out and an informative sign marking the spot. Trail difficulty: From above it is easy. 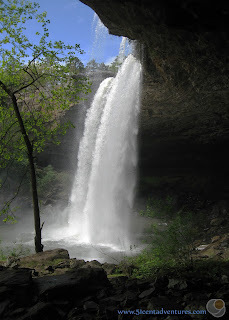 To hike behind the falls you'll need to be in good physical shape. This beautiful waterfall is easy to find. It's located just a few yards from Highway 211 (Noccalula Road) in Gadsden. There is a parking lot and then paved walkways that lead to the overlook. If you are feeling adventurous you should pay the entrance fee to Noccalula Park and then hike down the gorge trail to get a better look at the falls. You'll be able to hike into the alcove that goes behind the fall. I always assumed that we'd have to go somewhere exotic to take a picture like this. Who knew we could do it in Northern Alabama? 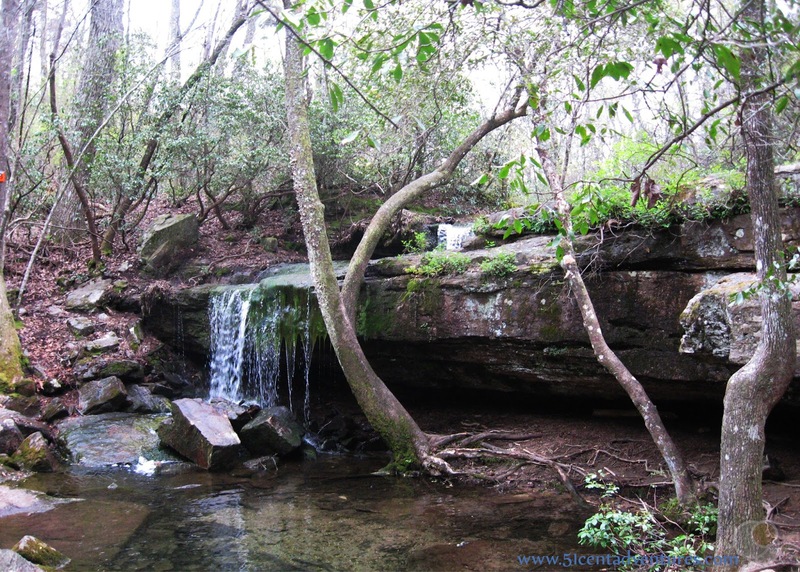 The trail to the waterfall is less than a mile, but it has a steep section at the very beginning. This is the only waterfall on this list that isn't located on Lookout Mountain. High Falls Park is about 30 miles west of Lookout Mountain. 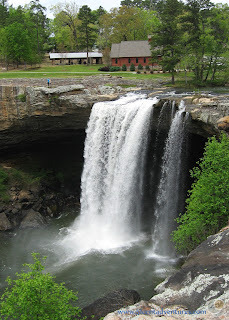 These falls are 35 feet high and can be 300 feet wide. I think they should really be named Wide Falls. There are no signs in Geraldine that direct you to High Falls Park. Here are the directions for how to find the park from Highway 75 in Geraldine: You'll want to turn onto Alabama Highway 227 and head north. (It's the only traffic light in town.) Follow 227 for 5 miles and turn left onto County Road 356. (There should be a sign for High Falls Park just before the turn.) Follow country road 356 and then turn right onto County Road 144. This will take you to the intersection of 144 and Country Road 394 where the entrance to the park is located. Cost: $19.95 for an adult and $11.95 for a child ages 3-12. Trail difficulty: The cave tour will take you on a 1/2 mile walk along mostly level ground. I can't finish this post without talking about the waterfall that started it all. Ruby Falls is located in the Tennessee part of Lookout Mountain. And when I say in I mean in. This 145 foot waterfall is 1120 feet under ground. This is the only waterfall on this list that you have to pay money to see, but the price is worth it for the experience of seeing this stunning waterfall. Plus you get to go on a cave tour and that's always cool. Have fun finding all these amazing waterfalls.